Boutique luxury real estate firm, Pordes Residential, has continued to innovate the luxury condominium market and see success through their highly specialized and unique market approach. The firm has been able to tap into a previously overlooked market by going where other developers have not. 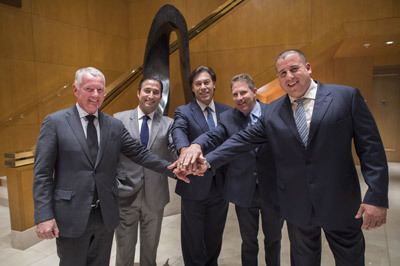 Their new partnership with Milborne Group in Toronto, Canada is focused on selling luxury Miami condominiums. Their efforts have been recently streamlined to focus on the luxury Ritz Carlton and high-end Fendi Chateau projects in Miami, Florida due to the combination of project luxury and developer credibility. As a majority of firms have been focusing on the South American Market, Pordes has been highly concentrated on breaking new boundaries and expanding their reach in the interest of their clients and projects. Over the past year, the firm has been traveling monthly from their home base in South Florida to Toronto, Canada to delve into a new audience of qualified brokers and buyers. This effort has launched momentous enthusiasm for the Ritz and Fendi projects. The organization has seen their work in these regions paying off in interest and sales. 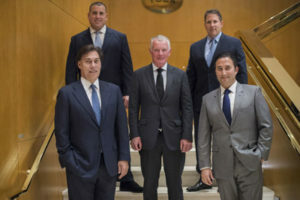 By shifting their focus from South America to the Northeast, the company has gained new leverage and longstanding relationships to benefit the South Florida developments. The firm sets themself apart by being able to access these niche markets and provide in depth expertise and contacts to their client base. With offices in Miami, Palm Beach and Las Vegas, Pordes Residential has been the breakthrough firm in the luxury condominium market for 25 years. The organization also offers a top-notch luxury concierge service for qualified buyers interested in these projects. This includes transportation and lodging while in Miami to visit and tour. For more information on their expertise, contacts and services, visit PordesResidential.com or call (305) 588-7769.